In accordance with this document the UN decided to observe worldwide the International Day of Non-Violence on 2 October each year. All member states have agreed to commemorate this day, which is Mahatma Gandhi's birth anniversary, in an appropriate manner and to disseminate the message of non-violence, including through education and public awareness. The origin of the Indian initiative endorsed by the world community of nations can be found in a programmatic declaration adopted by a conference entitled "Peace, Non-Violence and Empowerment: Gandhian Philosophy in the Twenty-first Century," which took place in New Delhi in January 2007 to commemorate the centenary of the Satyagraha movement, launched by Mahatma Gandhi in South Africa.2 On that occasion, the following Mahatma Gandhi's words were recalled: "Non-violence is the greatest force at the disposal of mankind. It is mightier than the mightiest weapon of destruction devised by the ingenuity of man." 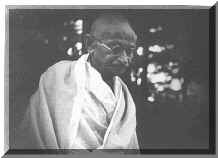 Inspired by the above-mentioned conference, the proclamation of the International Day of Non-Violence to be celebrated every year is a stimulating diplomatic act by which the UN General Assembly clearly recognized the holistic nature and the high topicality of Mahatma Gandhi's humanistic message for international relations in our times.' It has a great legal and diplomatic, as the UN is considered to be the biggest global actor, and promoter of non-violence and the most influential institution in the sphere of multilateral diplomacy. With such impressive credentials, during the current turbulent times, Mahatma Gandhi's birthday celebration by the 193 UN Member States under the motto of non-violence should further inspire and consolidate the fight for universal peace and pacific settlement of disputes. The noble ideals promoted by Mahatma Gandhi have inspired multilateral diplomacy and are reflected in the UNESCO Constitution, which was signed in 1945. Indeed, in accordance with this fundamental legal instrument, since wars begin in the minds of men, it is in the minds of men that the defences of peace must be constructed. It is in the light of this vital educational requirement that full recognition must be given to the lessons generated by world history and assimilated by UNESCO. A peace based exclusively on the political and economic arrangements of governments would not be a peace which could secure the unanimous, lasting and sincere support of the peoples of the world. Peace must therefore be founded, if it is not to fail, upon the intellectual and moral solidarity of mankind. At the academic level, it is in this Gandhian spirit validated by UNESCO that readers are expected to welcome the most recent book dedicated to non-violence entitled Pathway to Peace A Nonviolent Lifestyle by Indian professor and researcher Joseph F. Isidore. In 341 pages the author endeavors to demonstrate that humans are not violent by nature but rather by choice." One of the best chapters of the book is entitled "Peace education". The author believes that peace education is one of the most urgent things to do in the world today. He reminds the reasons for this urgency. Indeed, the whole world is in turmoil, no place is secure and nobody is safe any longer. For the first time in history humans face the threat of obliteration. We live in a world where violence has almost become a way of life. The danger of a nuclear Holocaust is not ruled out. Our fate is such that even an error in the computer can trigger a nuclear conflagration. Under such circumstances the crucial question is:Can we save the planet and ourselves? This book will enrich the academic and diplomatic dialogue about ways and means for promoting peace as a supreme value of humankind, as clearly recognized in numerous documents adopted by consensus within the framework of the UN system. Education for peace as promoted by the channels of multilateral diplomacy demands appropriate leadership for fostering respect for the fundamental values inherent in the ideals of peace and universal peaceful cooperation among peoples, including respect for the life, dignity and integrity of all, without discrimination, as well as advancing friendship, tolerance and solidarity. Promoting non-violence demands solidarity and tolerance which have been proclaimed as universal values by the UN and should be a permanent guiding light for multilateral diplomacy. Responsible dialogue and serious negotiations on major global issues can triumph over temporary discord and contradictions, as peoples of the world are in fact far more united by their common destiny than they are divided by their diverse identities. In fact, by orchestrating and moderating relations between states, multilateral diplomacy prevents international chaos and anarchy. To be successful, multilateral diplomacy demands a universal recognition of the unity of the entire human family during the irreversible process of globalization. Its functions cannot be separated from the deep interdependence of all peoples which is expected to gradually help crystallize a strong conviction that only authentic solidarity can effectively safeguard the inherent human dignity and the fundamental rights of individuals which are vital preconditions for building lasting peace. Such strong conviction may emerge only from appropriate peace education which has to become a visible reality at the planetary level. There are some promising trends in this direction. During the current 72nd session of the UN General Assembly member states will consider a report about steps to combat intolerance, negative stereotyping, stigmatization, discrimination, incitement to violence and violence against persons. based on religion or belief." This report asserts inter alia that many states have taken measures to combat and prevent violent extremism. Detailed guidance on preventing violent extremism is provided by the UN Secretary-General's Plan of Action to Prevent Violent Extremism. It contains adequate guidance according to which key concepts related to violent extremism should be clearly defined, in particular when they are likely to trigger measures that may interfere with human rights, for example when the terms "extremism" or "radicalization" are used in reference to non-violent activities. State authorities must remain vigilant and respond immediately and appropriately to all hate crimes. In the address by the Minister of External Affairs of India, Smt. Sushma Swaraj, delivered on 23 September 2017 in the UN General Assembly, a relevant and critical assessment about fighting violence was made from the perspective of anti­ terrorism movement. She reminded that although India proposed a Comprehensive Convention on International Terrorism as early as in 1996. yet two decades later the UN has not been able to agree upon a definition of terrorism. "If we cannot agree to define our enemy, how can we fight together? If we continue to differentiate between good terrorists and bad terrorists, how can we fight together? ", she asked. In her opinion "terrorism is an existentialist danger to humankind. There is absolutely no justification for this barbaric violence. Let us display our new commitment by reaching agreement on the Comprehensive Convention on International Terrorism this year itself." In a similar spirit, Miroslav Lajcak, president of the 72'' session of the UN General Assembly, taking the floor on October 2. 2017, during the meeting dedicated to the observance of the International Day of Non-violence, emphasized the fact that as a global leader in non-violence, the UN needs to do more to promote this principle, and to inspire others to do so too. He also reminded that he principle of non-violence is at work on a larger scale. It is a core principle of many non­ governmental organizations, political groups, regional organizations, and even local and national government actors. An effective multilateral diplomacy inspired by Gandhian legacy demands a dynamic participation of all peace-loving forces in promoting non-violence. It should also be recognized that the full implementation of major UN programs cannot be achieved in a climate of violence .Therefore. more diplomatic efforts are needed to consolidate the principle of peaceful settlement of disputes during the current turbulent era of international relations. This is not an easy task. As clearly emphasized in the statement by Sigmar Gabriel, member of the German Bundestag and Federal Minister for Foreign Affairs of Germany at the 72"' session of the UN General Assembly on September 21" 2017, "We seem to be confronted with a phase of political hurricanes and earthquakes. And the tone of the confrontations seems to get harsher, more intransigent and belligerent from day to day and from speech to speech." Promoting non-violence and friendly negotiations for the settlement of disputes demands solidarity and tolerance which have been proclaimed as universal values by the UN. Responsible dialogue and serious negotiations for the peaceful settlement of disputes can succeed in spite of existing political misunderstandings and contradictions, as peoples of the world share a common destiny and their diverse identities must not be a source of violence. A universal recognition of the unity of the entire human family during the irreversible process of globalization is a task to be energetically followed through all channels of multilateral diplomacy. The increasing interdependence of all peoples is undeniable and this factor should contribute to giving tangibility to a strong conviction that through genuine solidarity vital preconditions can be created for building lasting peace based on non­ violence . At the diplomatic and legal levels that brings to mind the 25"' anniversary of the UN in 1970, when the most important document adopted by the UN General Assembly was the "Declaration on Principles of International Law Concerning Friendly Relations and Cooperation among States in Accordance with the Charter of the United Nations." The first principle proclaimed in the Declaration was that "States shall refrain in their international relations from the threat or use of force against the territorial integrity or political independence of any State, or in any other manner inconsistent with the purposes of the United Nations." This principle which is in full harmony with the Gandhian doctrine gives expression to the fundamental and permanent requirements of non-violence and has a timeless significance. In a further legal and institutional development within the UN framework, multilateral diplomacy managed to finalize and adopt in 1982 by consensus the comprehensive document entitled Manila Declaration on the Peaceful Settlement of International Disputes. Its paragraph 5 reads as follows: "States shall seek in good faith and in a spirit of co-operation an early and equitable settlement of their international disputes by any of the following means: negotiation, inquiry, mediation, conciliation, arbitration, judicial settlement. resort to regional arrangements or agencies or other peaceful means of their own choice. including good offices. In seeking such a settlement. the parties shall agree on such peaceful means as may be appropriate to the circumstances and the nature of their dispute." Thirty years later. on December 14, 2012 the UN General Assembly adopted by consensus a resolution under the symbol and title 67/95. Thirtieth anniversary of the Manila Declaration on the Peaceful Settlement of International Disputes. By this document the UN General Assembly "Reiterates its call to all States to observe and promote in good faith the Manila Declaration in the peaceful settlement of their international disputes". This revalidation of the significance and usefulness of the Manila Declaration cannot be underestimated in the process of promotion of non­ violence through the instrumentalities of multilateral diplomacy. A year later, in a resolution adopted by consensus on December 18, 2013 under the symbol and title 68/127. A world against violence and violent extremism the UN General Assembly urged "all Member States to unite against violent extremism in all its forms and manifestations as well as sectarian violence, encourages the efforts of leaders to discuss within their communities the causes of violent extremism and discrimination and to evolve strategies to address these causes, and underlines that States, regional organizations, non-governmental organizations, religious bodies and the media have an important role to play in promoting tolerance and respect for religious and cultural diversity." More recently, during the 70'" anniversary of the United Nations, on September 25 2015, the UN Summit attended by over 150 heads of state and government adopted a programmatic document entitled "Transforming our world: the 2030 Agenda for Sustainable Development" which contains inter alia the following commitment: "We are determined to foster peaceful. just and inclusive societies which are free from fear and violence. There can be no sustainable development without peace and no peace without sustainable development." Inspired by this determination, Goal 16 of this comprehensive instrument containing 17 sustainable development goals to be implemented during the period 2016-2030 is specifically formulated as a promise to "promote peaceful and inclusive societies." The first target demanded by Goal 16 is to "significantly reduce all forms of violence...." It is a call to treat non-violence from a strategic perspective to achieve the fundamental objectives of the 2030 Agenda. From the most significant 2017 events directly related to multilateral diplomacy and non-violence mentioned should be made about the theme of 'Stronger Partnership for a Brighter Future', considered by leaders at the BRICS Summit 2017, in Xiamen, China, a reunion which issued a joint Declaration outlining the agendas for this year as well as points the five BRICS nations IBrazil, India, Russia, China, South Africa) agreed to work upon in the future. This comprehensive diplomatic document (43 pages) officially entitled BRICS Leaders Xiamen Declaration Xiamen, China, 4 September 2017 asserts inter alia that:"Our committed and concerted efforts have generated a momentum of all-dimensional and multi-layered cooperation fostered by the previous Leaders' Summits. Upholding development and multilateralism, we are working together for a more just, equitable, fair, democratic and representative international political and economic order... Our coope.ration since 2006 has fostered the BRICS spirit featuring mutual respect and understanding, equality, solidarity, openness, inclusiveness and mutually beneficial cooperation, which is our valuable asset and an inexhaustible source of strength for BRICS cooperation... We reaffirm solidarity and resolve in the fight against terrorism, ...We call upon the international community to establish a genuinely broad international counter-terrorism coalition and support the UN's central coordinating role in this regard". Under such circumstances, scrutinized from the perspective of 2017, the great humanistic Gandhian legacy must be treated as an omnipresent and inspiring force in multilateral diplomacy, as by its supreme truth this legacy is able to galvanize the whole world for robust action in favor of peace and non-violence and contains a timeless and vibrant appeal for the development of friendly relations and win-win cooperation at the local, national, regional and universal levels. The resolution under the symbol A/61/271 was presented and adopted under the agenda item "Culture of peace. Among its 140 co-sponsors we find Romania, Thailand and Germany. For the full text of the resolution and the list of co-sponsors see documents A/61/L.62 & Add.1 available at http://www.un.org/en/ga/search/view_doc.asp?symboi=A/61/L.62&referer=http://www.un.org/en/documents/index.htmi&Lang=E. See https://glosbe.com/en/en/Gandhian. It should be critically noticed that one of the most recent and comprehensive books about diplomacy does not contain any reference to Mahatma Gandhi. However, the book cogently defines multilateral diplomacy as "the practice of involving more than two nations or parties in achieving diplomatic solutions to supranational problems." See Kishore Mahbubani. Multilateral diplomacy in the collective volume The Oxford Handbook of Modern Diplomacy, Oxford University Press.. 2013, p. 248. For the source of quotation see note 4 supra. Joseph F. Isidore, Pathway to Peace A Nonviolent Lifestyle, ISPCK, New Delhi, 2017. For these quotations and their interpretation see Norman G. Finkelstein. What Gandhi Says: About Nonviolence, Resistance and Courage, OR Books, New York, _2012. '" See document A/HRC/34/35 dated 8 March 2017. See Dr.Thanat Khoman, The Wit and Wisdom of the Leading ASEAN Founder, Bangkok. Siam Renaissance. 2017, p. 99. The full text of the resolution is available at http://www.un.org/en/ga/search/view_doc.asp?symboi=AIRES/67/95 The second paragraph of the resolution contains a useful explanation which reads as follows: "Recalling that the Manila Declaration was negotiated on the initiative of Egypt Indonesia, Mexico, Nigeria, the Philippines, Romania, Sierra Leone and Tunisia and on the basis of a text prepared by the Special Committee on the Charter of the United Nations and on the Strengthening of the Role of the Organization." * Doctor in Political Sciences (International Law) of Geneva University (1968); Doctor honoris causa in International Law of Assumption University of Thailand (1998); Alternate Representative of Romania to the United Nations Security Council (1990-1991); Ambassador of Romania to the Kingdom of Thailand and Permanent Observer to international organisations based in Bangkok (1994-1999); Visiting Professor at Assumption University of Thailand since February 2000.